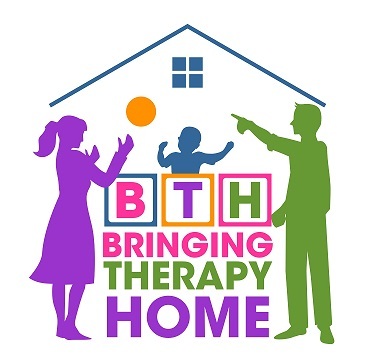 Bringing Therapy Home website is owned and operated by Bringing Therapy Home, LLC. Bringing Therapy Home, LLC is a Kansas limited liability company. We may, at any time, revise, change, delete, or update any content without prior notice. The changes will be effective immediately upon posting. You acknowledge that the Bringing Therapy Home website may contain information, descriptions, photos, video, text, graphics, music, logos, or other materials that are protected by copyrights, patents, trademarks, trade secrets or other proprietary rights, and that these rights are valid and protected in all forms, media and technologies existing now or here after developed. Bringing Therapy Home, LLC does not authorize your use of any rights protected by applicable law. You may view and use the content only for your personal use, and for no other purpose. You agree to comply with all applicable laws, rules and regulations in accessing and/or using the website and/or any Materials. have regarding the use and disclosure of treatment information. about you or your child, and Follow the terms of the Notice that is in effect. providing treatment to you and only to those for whom you have signed a release of information. to the primary email on the account. You will request to have receipts emailed in writing. Bringing Therapy Home’s professional practice. Therapy Home as a reminder for an upcoming appointment, to reschedule, or to cancel an appointment. about or recommend possible treatment options or alternatives that may be of interest to you. committed the crime. This is also effective for victims of abuse, neglect, or domestic violence. a victim. Professionals employed by Bringing Therapy Home are mandated reporters for abuse. maintain records for 6 years. Home, 13469 Switzer Road, Overland Park, 66213. Road, Overland Park, 66213. Bringing Therapy Home will not ask you the reason for your request. entitled to a paper copy of this Notice. provided with a copy of the current Notice. If you feel your concerns have not been addressed, you can contact Director Office for Civil Rights U.S.
Department of Health and Human Services 200 Independence Avenue, S.W. Room 509F HHH Bldg.